Simon Says Wednesday Challenge.....Emboss it.... Thanks for looking...enjoy your day!!! Gorgeous card Sylvie, love the design. I'm sure they will be thrilled with it, it's gorgeous. Wow Sylvie - one day's notice to make a wedding card sounds like a real challenge to me! 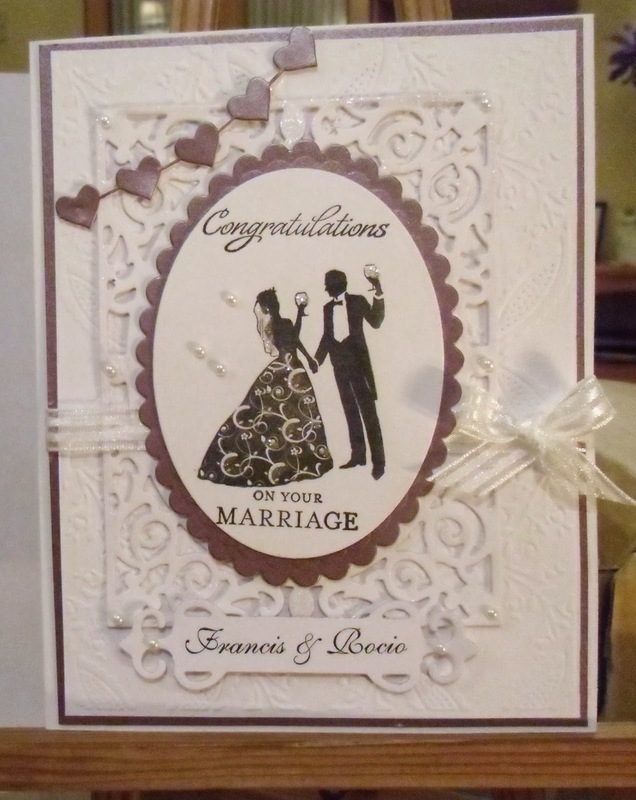 You did a great job - the card is fabulous and I'm sure the happy couple will love it. This is beautiful Sylvie. Love the image and the intricate die. This gorgeous, a beautiful and very elegant design. This is such an elegant card Sylvie, I'm sure the happy couple loved it. Well a day to decide a design.....another to change my mind..yes you get the picture Sylvie. This is just beautiful, they couldn't help but like it. Love the SB die and the image is gorgeous. It's sunny here too, Sylvie - and bl**dy cold too! A very elegant card, beautiful die cuts! This is absolutely gorgeous Sylvie. Love the image and the different textures you've achieved through the die cuts. This is really beautiful! Love the details on this! Thanks so much for playing along with us over at the Simon Says Stamp Wednesday Challenge! Gorgeous card Sylvie - love it.